We have all used this excuse. Being a coach, I hear it from many people almost on a daily basis. 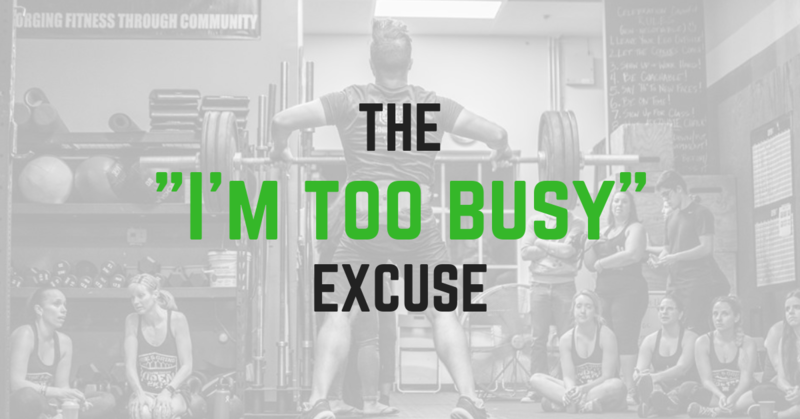 Because my job, and life really, revolve around fitness, these excuses usually refer to working out, nutrition, recovery or committing to something. But what does “I’m too busy” really mean? And why do we use it? At first, “busy” sounds plausible, for us and for whoever we are telling that to. Sometimes it even carries a positive status. “How are you?”, “You know, busy as usual.” As if it’s normal, and beneficial, to be overwhelmed by work and other tasks. Like we mentioned on previous blog posts, that misconception has to go away if we want to prioritize our health. Having no spare time means having no time for yourself. The issue is when people that use “I’m too busy” are often the ones who find time to binge watch Netflix, scroll on social media for hours, go on happy hours with friends or just sit on the couch. To be clear, there is nothing wrong with doing any of these things. But if you have a problem, and you know the solution, but you choose not to do it, then “you are not too busy”. We might use that excuse for many reasons, and for each of them there is a way to correct it. If you ever tried to stick to a diet but couldn’t, or said “I’ll have that done by 3pm” but didn’t, then you know the importance of integrity. When are young we hear the phrase “you can accomplish anything you set your mind to”. I really believe that’s true. But to do that, you need to conquer small tasks along the way of reaching that goal. If you stick to the path and do what’s necessary to get there, you will eventually find yourself there. If things get in the way and you let them take center stage, you deviate from the path. Which gets you farther from the goal. When it comes to fitness, something that requires a lot of effort, it is key to have integrity. If you tell yourself that you will workout, but end up taking a nap, or that you will eat chicken and broccoli but end up eating mac ‘n cheese, then we have to get your integrity back together before we go any further. If you look at your calendar right now, will you find your priorities written down? Or just the things “you can’t forget to do”? Planning things ahead helps you build up your integrity. It also makes things more likely to happen. As a great mind once said, “if you fail to plan, you plan to fail”. You might ACTUALLY be too busy, but because you did it to yourself. There’s only 24 hours in a day. Take out our sleep and work and we are left with only a few hours. The important time we have take care of ourselves. If you say “yes” to every request you will end up running out of precious time. The more you say “no” to things that don’t matter, the more you say “yes” to the things that do. Being over-committed can make you burn yourself out. Many times we say “yes” to be polite. But use your integrity to stay committed to the things that really matter. This one requires some soul searching. A lot of times we are stuck to a routine and just do what we normally do. It happens when people start working out, or a new diet. They know that they should be doing things differently but end up just going back to “default”. To avoid that, you need to look inside and figure out what is truly important to you. Is being able to see your kids grow up and be able to play with them? Is it to be free of chronic disease? Is it to not have to rely on anyone to help you do mundane things throughout the day? If you really care about those things then you figured out what your priority is. Here’s a tip. Tell people what your priority is. Let your significant other, parents, friends know what you are working toward and how you plan on getting there. In your moment of weakness they might be able to steer you back into the right path. I hope you consider retiring the “I’m too busy excuse”. Not for me, or for your friends or family, but for yourself. Believing you’re too busy is looking away from what the real issue is. 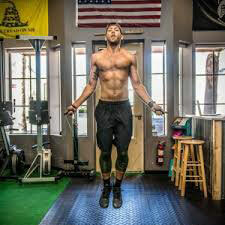 If you need help staying accountable, coming up with a schedule or figuring out how to work toward what is important for you, let one of your Celebration CrossFit coaches know and we can help you!